Directed by Puri Jagannath, Loafer movie has been released on 17 December 2015 and recorded one of the best in the Telugu movies released this month. The movie is featuring veteran actors like Varun Tej and Disha Patani in the leading roles. Disha Patani who got popular after her debut in Cadbury ad got a huge following afterward the release of Loafer movie. 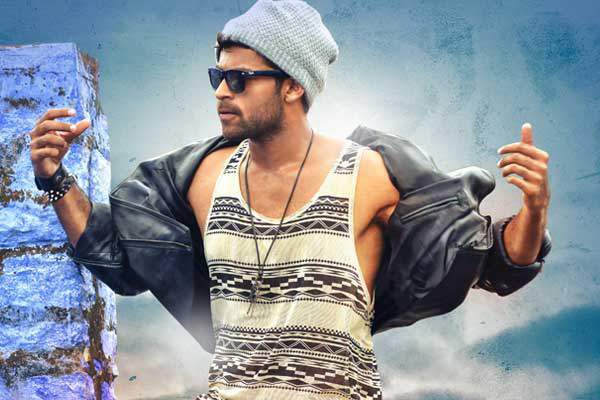 Varun Tej is playing the role of Raja in the movie while the lead actress, Disha Patani is featuring as Mouni. The initial release of the movie was seen in over more than 800 screens throughout the India of which a large part of screening were done in Telangana and Andhra Pradesh. Most of the cinemas in Hyderabad have observed 100% occupancy. The fans of Varun Tej can be spotted outside the theaters of Telangana even after the initial release of the movie, while many others reached actors to congratulate them. Receiving the mixed reviews from critics, you can read review of Loafer movie by The Reporter Times here. Song Nuvvedusthunte and Nokkey Dochey from the Loafer movie rocked the Telugu music channels and collected a huge potential audience for the producers. Richly produced the movie has not apparently lacks anything when it comes to potential audience. The second-day occupancy and collections remains as higher than of first-day loafer occupancy and collections. Loafer 1st Day Collection was as Nizam 1.2 cr Ceded 50L UA 36.5L East 38L West 23L Krishna 25 L Guntur 39L Nellore 18L * Total AP/ TS 3.5cr. The 2nd Day Loafer Collection was yet to be updated from the trusted sources but its being recieved that collections of the movie were more than as expected and overall in the 800 screens the movie has collected more than an amount of 3 crores.